Who would sue high fructose corn syrup and why? A group composed of cane sugar farmers and refiners is adamant against the proposed rebranding of high fructose corn syrup (HFCS) as "corn sugar" because of the effect it could have on their cane sugar business and that it uses false advertising. HFCS is considered Enemy No. 1 in America's nutrition fight, and citizens have become more and more wary of this popular sweetener additive which adds empty calories to our diet. As a result, its usage has plummeted more than 20%. 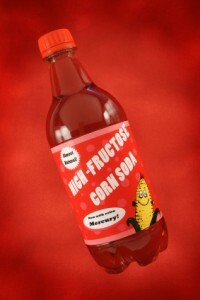 Although this fructose-glucose blend is made from vegetables and received the approval of the Food and Drug Administration to refer to it as "all-natural" in 2007, HFCS has been blamed for a myriad of health problems of the heart, liver, has encouraged diabetes and the obesity epidemic, and even contains mercury.